You've heard it before: We eat with our eyes. At Morano Gelato, the luscious display of intense dark chocolate, earthy, nutty hazelnut, lemon zabaglione and a dozen more flavors fills up your senses before you’ve even taken one cold, creamy bite. "I wanted to create the experience that I had for the first time in Florence," says Morgan Morano of the traditional display. "Little kids come in and press their faces against the glass." Morano, owner and gelato maker, is a passionate 31-year old whose love of Italy kept her returning off-and-on for six years. After working in a Florentine gelateria in 2008, she learned to make the wildly popular Italian frozen dessert, a treat similar to ice cream with a few key differences. Two years later she was proceeding down the exciting yet bumpy path of gelato entrepreneur. Morano Gelato opened in June 2015 in the Chestnut Hill mall, adjacent to the eagerly awaited, New Haven-based Frank Pepe Pizzeria Napoletana, which opened a few months later. The gelato is produced fresh every morning. Through a large window in the store, customers can see into the spotless "laboratory" and watch it being made. "We have 200 flavors that we rotate seasonally," says Morano. On an average Saturday, they make 18 batches of a dozen or so flavors plus back-ups of the most popular, including dark chocolate, stracciatella (chocolate chip), pistachio, crème brulee and hazelnut. From start to finish, it takes little more than 30 minutes for Morano and her staff to make an eight-liter batch. The process is particularly efficient thanks to the Ferrari of gelato machines, the Bravo Trittico, which cost about $40,000. To make pistachio gelato, for example, they combine a mixture of sugars (a trade secret), nonfat milk powder, natural thickener, whole pistachios, and salt in a large metal bucket. Water and a little heavy cream are added, along with pistachio nut butter, which provides the intense nutty flavor. Sean Kieran, who has worked for Morano for the past year, mixes the ingredients with an immersion blender and then pours the liquid into the top compartment of the machine. The mixture is heated (and re-pasteurized), which melts the sugars, activates the thickener and develops the flavors. After about 10 minutes, a turn of the valve allows the liquid to flow into the bottom chamber. Here, the cooling system kicks in, the temperature drops, and stainless steel blades spin to churn the mixture. In about 15 minutes the gelato is thick, creamy, and very cold (-6 to -8 degrees Celsius). The next step, extraction, is where the operator's skill comes into play. As gelato emerges from the chamber door, the operator uses a spatula to cut off small clumps, quickly depositing them in peaked mounds into a rectangular serving bin. After a short rest in the blast freezer, the bin is garnished and brought to the store's display case. A spade, not a scoop, is used for serving. "Sam [Hicks] was the first person I taught to make gelato," says Morano, speaking of her kitchen manager, who started with her at her first store, in Hanover, New Hampshire, about four years ago. He moved to Massachusetts with the opening of the Chestnut Hill shop. She had sent him to Florence, she says, "to enjoy the culture and eat gelato, because what we're doing is very similar to what they do in Italy." Italy, of course, is where Morano learned her craft. A bona fide Italophile, with Sicilian roots, she ventured to Italy in 2004 for a semester abroad from UConn. That she would return was a given; she had fallen in love with the country and a Florentine man on her first visit. After college, she attended the Institute of Culinary Education in Manhattan and, she says, "I would work in restaurants, save money and would travel to Italy for a few months." The relationship didn't last, but her love affair with Italy did. "In life, everyone has their own path. If it weren't for him, I wouldn't have discovered gelato." What we’re doing here is very similar to what they do in Italy. 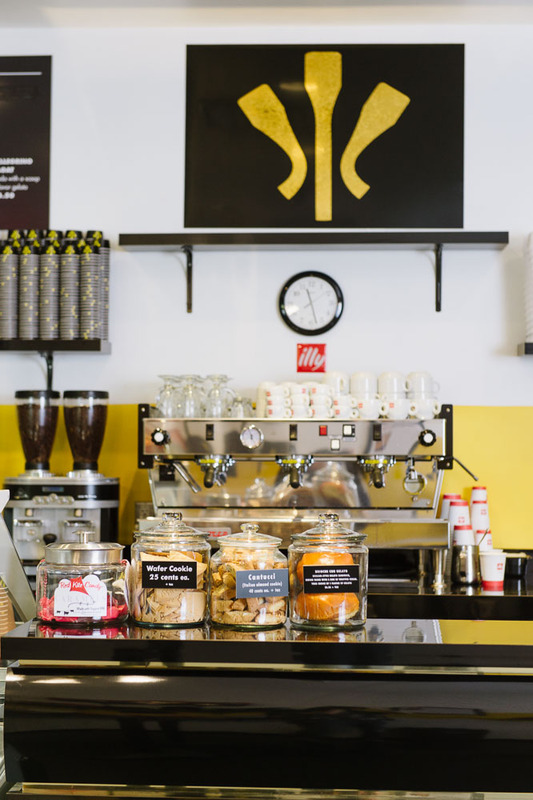 On a 2007 visit to Florence, she sampled coffee granita at Il Re Gelato – "It totally blew me away," she says, of the slush-like frozen dessert – and got to know Antonio Cafarelli, the shop’s owner with whom she shared a Sicilian heritage and passion for good food. He wanted to learn how to make American cheesecake and in exchange, he taught her how to make gelato. Morano returned to Florence the following year and ended up working for Cafarelli. "What I learned from him was a deep respect for the art and craft for traditional gelato." While the stint at Il Re (the king, in Italian) wasn't necessarily Morano's light-bulb moment, she began thinking about opening a dessert place that "would reflect my love for Italy and traditionalism." Back home, she says, "Nobody was doing justice to gelato. For me, it was perfect timing." Home at the time was near Hanover, NH, where she lived during part of her childhood. She started making gelato using a countertop ice cream maker. She formed a partnership with her brother (which has since been dissolved), and he purchased a small commercial machine. In June 2010 Morano started selling gelato at the Hanover farmers market. Long lines of happy customers propelled her forward. Although she had no money, what she did have was instinct (not to mention a culinary degree and years of hospitality experience from working summers at her family's seafood restaurant in Fire Island, New York). With a loan from a family friend, she was able to move to an indoor spot in the back of a small café and repay her brother. One year after her success at the farmers market, she moved into a "perfect space" on Main Street. In 2012, she says, "Business was booming, but I worked 120-hour weeks and I was starting to get burned out." That's when she taught Hicks how to make gelato. "I could finally focus on the business end," a turning point for the entrepreneur, who thought franchising might be an option for growth. "I didn't just want to be making gelato; I wanted to turn it into a business." In September 2013, she sold the Hanover store under a license agreement (she retains control over the recipes, presentation and store appearance) and began to look for sites in the Boston area. She hoped to expand from there. At about the same time, New York's Race Point Publishing approached her to write a gelato cookbook. "Customers often ask how they can make it at home," she says. The Art of Making Gelato came out in April, 2015. The differences between gelato and ice cream are slight but meaningful. 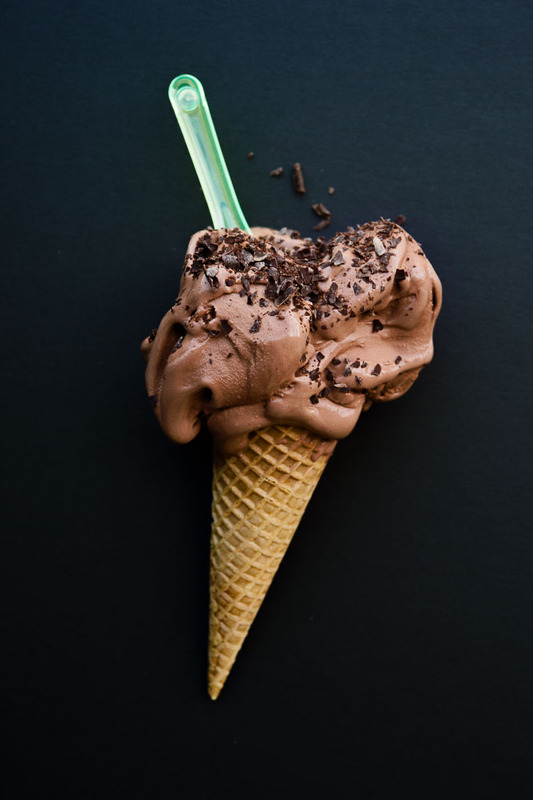 Gelato contains less butterfat than ice cream as it's made with more milk than cream. Morano's is 6% to 8% butterfat, compared to ice cream, which is typically in the 10% to 25% range. The Italian dessert has less air mixed into it during the churning process, which is done at a slower speed. The result is a dense, thick, creamy texture with a slight elasticity that almost pulls. Extra air whipped into ice cream can pump up its volume by 25% to 50% or more. Finally, gelato is served at a slightly warmer temperature than ice cream, giving it a softer mouthfeel. Many artisan gelato makers build their flavors from one or two bases. (The more commercial shops might start with a mix or buy the finished product.) Morano makes each flavor separately, a more expensive and labor-intensive process. "It gives me more control over every flavor," she says. About five years ago her gelato mentor, Cafarelli, visited her Hanover store. He asked questions and had a few criticisms. "But at the end of the day he was very proud of what I was doing." When word got out that Morano was considering sites west of Boston, she says the Frank Pepe's organization reached out to her. "They were looking for a dessert concept to take part of the space." What could be more fitting than side-by-side pizza and gelato? "Frank Pepe's was the number one selling point for me," she says. "We're not a mall brand. They're not a mall brand either. They plan on being a destination." So does Morano. The entrepreneur's short-term goal is to open a handful of company-owned stores in New England and franchise in "reachable areas"' such as the Mid-Atlantic states. "Franchising is a whole other beast. That's why I want to be really selective." Her long-term goal? "I want to be one of the leading frozen dessert companies in America."